Gut dysfunction is any alteration to the normal intestinal barrier. When the barrier is changed it can allow inflammation, change in bacterial populations, malabsorption, and undigested food particles to enter the bloodstream. A troubled intestine can send signals to the brain, just as a troubled brain can send signals to the gut. Therefore, a person’s stomach or intestinal distress can be the cause or the product of anxiety, stress, or depression. That’s because the brain and the gastrointestinal (GI) system are intimately connected. Gut dysfunction can lead to symptoms such as flatulence, distension, diarrhea, constipation, GERD, bloating, fatigue, anxiety, depression, weight loss, food sensitivities, irritable bowel syndrome, and many more. SIBO is an alteration of the normal bacterial populations in the small intestine. SIBO can be caused by the use of antibiotics, proton pump inhibitors (Nexium), and hypothyroidism. SIBO is present concurrently in many that have Crohn’s, ulcerative colitis, or irritable bowel syndrome. Most common symptoms are diarrhea, constipation, flatulence, distension, malabsorption, nutrient deficiencies, and weight loss. Food sensitivities are much different than allergies. Allergies can result in anaphylaxis, whereas sensitivities will not do that. Food sensitivities result from an altered immune response to the protein component of food. Sensitivities can change as the immune response changes. Common sensitivities are to gluten, dairy, eggs, and food additives. You may feel inflamed, not digesting appropriately, or it may trigger headaches. Food sensitivities that are present with a concussion, dementia, cerebral palsy, or multiple sclerosis can increase the symptoms till the foods are removed. Irritable bowel syndrome results in abdominal pain or discomfort, diarrhea, gas, cramping, and constipation. Like SIBO and food sensitivities there is a dysregulation of the immune system. Specifically, there is increasing attention paid to the gut-brain axis. The gut-brain axis is the bi-directional communication between these two systems. The communication is why those with gut issues commonly complain of brain symptoms. Our clinicians not only have an understanding of the brain but have extensive knowledge of the gut. They understand how the gut and brain interact. This understanding necessitates not only examining your gut health but to assess brain function as well. It is only when both of these systems are functioning optimally that the best results can occur. The findings from assessments of immune and brain health will allow us to create a plan specific to you. It is common for your plan to include removal of foods creating inflammation as well as nutrition to support immune health. Brain-based treatments are built around establishing healthy communication of the brain and immune system. 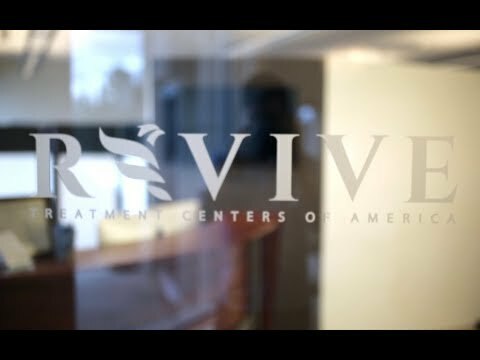 At Revive we specialize in providing treatment to the neurological regions affected by gut dysfunction. Your treatment can include balance, gait, and eye training; as well as hand-eye coordination, repetitive transcranial magnetic stimulation (rTMS), hyperbaric oxygen, diet, and supplements. Beyond the neurological system, there are many factors that can impact the presentation of gut dysfunction: the immune system, diet, sleep, and stress (to list a few). By integrating knowledge of the brain and influence of these factors, we are able to be very specific with targeted therapies which create lasting neurological changes. Your treatment plan is designed specifically for you and is not a protocol.